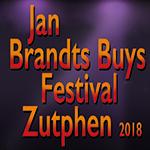 From Friday September 21 until Sunday September 23 401DutchOperas organizes the JAN BRANDTS BUYS FESTIVAL ZUTPHEN 2018, on the occasion of the composer's 150th birthday. Brandts Buys (1868 -1933) was (and remains to date) the most successful Dutch opera composer in history. Since its 1916 premiere his opera Die Schneider von Schönau has been performed over 1000 times throughout Germany, Austria, Hungary, Switserland and the Netherlands. Operas such as Der Mann im Mond and Micarême had international success as well. Stars such as Richard Tauber created his works at the most important German stages. Our Brandts Buys Festival Zutphen features a shimmering line up of Dutch opera stars, starting with the Zutphen born diva Johannette Zomer, who is featured in both the opera recital on Saturday September 22 in Hanzehof as in the Song recital on Sunday September 23. Cello player Jeroen den Herder and the Cello Festival are featured with a guest performance. Organ player Frank van Wijk plays the mighty Bader organ of the recently restaurated Walburgis Church. Apart from solo organ works of Brandts Buys there are also songs for organ performed by our biggest opera voices. There's an exhibition with a recital including songs composed by 5 generations Brandts Buys. There's a recital with his music for piano including all Festival pianists. The Festival discloses a veritable survey of Brandts Buys's oeuvre 1891-1932: live in front of the audience and then for the rest of the world by means of the cd-issues that we will publish of the recorded performances. Gerard von Brucken Fock was one of the most remarkable composers that ever graced the Netherlands. He is best known for his wonderful piano music and his songs, but his true master piece is the unperformed opera Jozal from 1912. It is both unique and extreme in text and music, it is a mesmerizing, bewildering and highly individual opera. With Heldentenor Hendrik Vonk, soprano Barbara Schilstra, baritone Frits Muusse and pianist Wolter Willemsen. 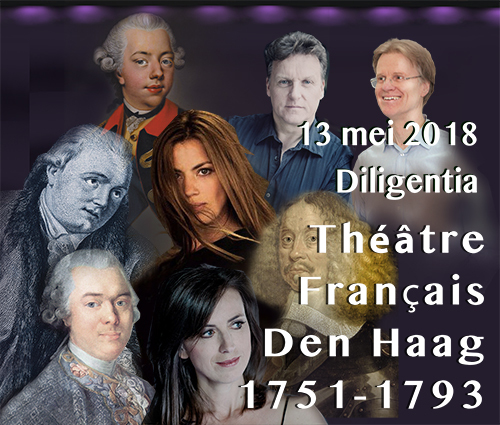 On Sunday May 13, 2018, 401DutchOperas and the Dutch Music Institute (NMI) organize a concert with forgotten operas of composers at the court of stadhouder William V in The Hague, composed for the French theater there in the period 1751-1793. 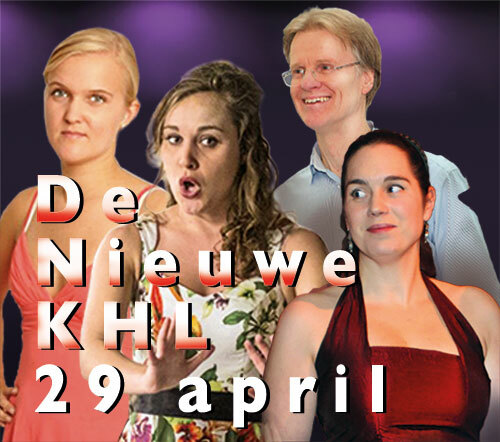 Among the sloists are mezzo soprano Barbara Kozelj, soprano Elise Caluwaerts, tenor Marcel Reijans, Dutch baritone Hans de Vries, violin player Rémy Baudet, hobo player Martin Stadler, cellist Saskia van der Wel and harpsichordist/arranger Albert-Jan Roelofs. The young talent ensemble of Music Academy The Hague with supervisor Peter le Feber will give several on location performances in the Hague and Amsterdam with modern arrangements. On Sunday 29 april De Nieuwe KHL Amsterdam presented a preview of our three main 2018 projects. Sopranos Esmée van Nieuwenhuizen and Gina de Jong of Music Academy The Hague brought a preview of our Dutch Royal Court Opera in Mozart times with arias by Colizzi, baron Gottfried van Swieten and Mozart. Dutch late romanticism was presented with Jan van Gilse’s Helga von Stavern (1911), sung by soprano Barbara Schilstra and baritone Hans de Vries. A preview of our Jan Brandts Buys Festival in september featured arias & duets from Hero und Leander (1919), Der Eroberer (1921) and Ulysses (1931). Jan ten Bokum played romantic piano pieces by the composer. All related to our first official cd-release, a studio recoridng of Jan Brandts Buys' opera Micarême, also presented here. Gerard von Brucken Fock was one of the most remarkable Dutch composers of all. He was financially independent yet tried to give away his fortune, he attempted divorce his wife to preserve their love and travelled through Europe for the Salvation Army, playing salvation songs on a barrel organ. His master piece is the as yet unperfomred opera Jozal from 1912. On Saturday November 18 highlights of Jozal will be performed by Heldentenor Hendrik Vonk, soprano Barbara Schilstra, baritone Frits Muusse and pianist Wolter Willemsen. Location: Oude Kerk (Old Church), Keizerstraat 8, Scheveningen (Netherlands). Begins at 3 PM. Free entrance (voluntary contribution). In the wake of the revival of Hendrik Andriessens De spiegel uit Venetië (The mirror of Venice) we have made the father of Jurrian & Louis Andriessen our Composer of the Month. There is also special attention for his first opera, Philomela, which we will shortly add to our downlaod programme, along with the 1967 recording of The mirror of Venice. In the wake of 401Concerts 4 in the OBA Concert Hall The Hague (Spui), December 18 2016, our opera of the month is Daniël de Lange's dramatic scène Lioba (1906). De Lange envisioned Lioba as his ulimate masterpiece, which could no longer be a mere formula work as his youth-opera The Fall of Kuilenburg. Lioba was crafted along the highest possible artistic standards. The text was a selection from the famous scène by Frederic van Eeden and unexpectedly old De Lange manifested himself as a revolutionary (anti-)dramatic composer alongside, say, Satie!! The premières in The Hague and elsewhere met with public acclaim but, except for one, the reviews were among the most devastating ones in all Dutch musical history. De Lange's colleague 'composer-critics' either did not understand him or they had some scores to settle with him. Either way, they were effective: nothing more was heard of Lioba until the intimate introduction was revived at 401Concerts 3. This beautiful piece prompted us to bring the apex of the duet between Sancolf and Lioba in 401Concerts 4, with Barbara Schilstra as Lioba and Hendrik Vonk as Sancolf. Download from 20 December onwards. On january 14, 2018, 401Concerts 10 presented a spectacular programme in De Nieuwe KHL in Amsterdam, the monumental former coffee lounge of the Lloyd's personel. Behind the present day café-restaurant with French and exotic kitchen lies hidden a fantastic Jugendstil concert hall. Heldentenor Hendrik Vonk, soprano Barbara Schilstra and pianist Wolter Willemsen perfomed there arias & duets from Dutch operas 1852-1931. Besides Hendrik's Heldentenor repertoire there is a sneak preview into our upcoming Jan Brandts Buys Festival of September 19-21 in Zutphen. This includes highlights of his operas Hero und Leander (1929) and Ulysses (1931). Our fieldwork in the Royal Collection is presented by Le roi de boheme (1852) of court composer Charles van der Does. Gerard von Brucken Fock was one of the most remarkable composers that ever graced the Netherlands. He is best known for his wonderful piano music and his songs, but his true master piece is the unperformed opera Jozal from 1912. It is both unique and extreme in text and music, it is a mesmerizing, bewildering and highly individual opera. 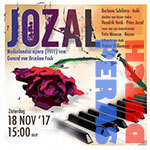 On Saturday November 18 highlights of Jozal were performed by Heldentenor Hendrik Vonk, soprano Barbara Schilstra, baritone Frits Muusse and pianist Wolter Willemsen. Location: Old Church, Keizerstraat 8, Scheveningen, Netherlands. 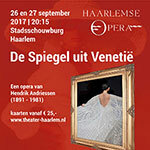 On 26-27 september 2017 Haarlem Opera and Andriessen/De Klerk Foundation realized the very first scenic performance of Hendrik Andriessens television opera The Mirror from Venice. A comedy revolving around composer Dirk Sweelinck who wants to teach a lesson to castle lord P.C. Hooft and his gathering at Muiden Castle, including Hooft's wife. All this because Sweelinck (the son of) is irritated that they never took him serious until he suddenly became famous in Italy. 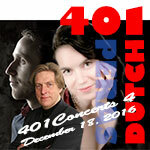 18 December 2016, 401Concerts 4 live from the OBA Concert Hall The Hague, with opera arias & duets from the archives of the Nederlands Muziek Instituut. Soprano Barbara Schilstra, tenor Hendrik Vonk, bass-baritone Andreas Goetze and the 401DutchOpera Choir under Frits Muusse and pianist Wolter Willemsen shall perform arias and duets from Cornelis Dopper's De blinde van Casteel Cuillé (1894), Willem Landré's De roos van Dekama (1896), Daniël de Lange's Lioba (1906), Jan van Gilse’s Helga von Stavern (1911), Gerard von Brucken Fock's Jozal (1912), Emile von Brucken-Focks Seleneia (1914), Julius Röntgen's De lachende Cavalier (1918), Jan Brandts Buys’ Die Schneider von Schönau (1916) and Richard Hageman's Caponsacchi (1932). A unique programme with modern day creations. Caponsacchi is the only Dutch opera ever performed at the Metropolitan Opera New York. Lioba is on text by the celebrated Dutch author Frederik van Eeden, De roos van Dekama is after Jacob van Lennep. Röntgen and Dopper are composers known from the golden balustrade of the Concertgebouw. The Helga von Stavern and Jozal duets are absolute world premières! Downloadable from december 20. On 18 December 2016 401Concerts 4 will bring the reprise of the tenor-monologue from Gerard von Brucken Fock's Jozal (1911), followed by the conclusion of the Act II duet between Jozal and Asdé (the beginning was performed at 401Concerts 3). The location of the December concert is the OBA Concert Hall in The Hague (Spui). Von Brucken Fock's opus magnum was far to extreme, bizar and revolutionary to be performed in its time. This was one of the many dissapointment that Von Brucken Fock had to endure in a life that was determined by extreme artistic and religious ideals. Take Jozal: he once firmly believed that it would succeed where Wagner's Parsifal had failed, in reforming the world! Von Brucken Fock, mostly renowned as a Chopin/Liszt follower, surprised also in his revolutionary music for Jozal. In it his romantic musical concepts of ere clash wildly with free tonality and sound clusters for which the name has yet to be found! In musical terms Jozal is overwhelming and often unique! Jozal's monologue and the beginning of the anti-love duet en Jozal/Asdé are downloadable in the 401Concerts 3 creation of Denzil Delaere and Jolien De Gendt. During 401Concerts 4 tenor Hendrik Vonk and soprano Barbara Schilstra shall perform the conclusion of this phenomenal duet. Available as download from 20 december onwards.